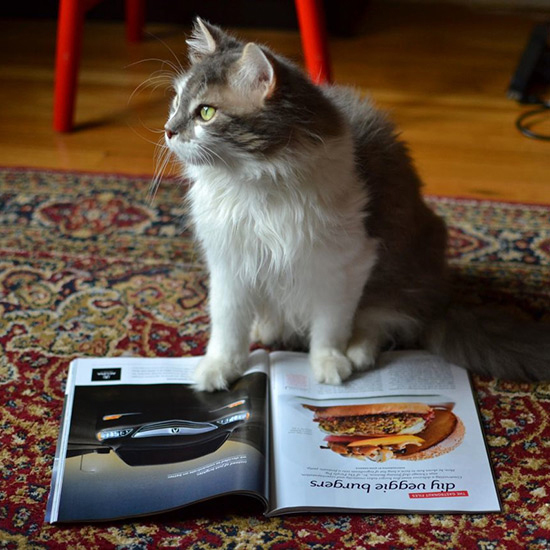 Here, Kate Krader (F&W's Restaurant Editor and fierce cat lover) previews some of the cat cafés opening in the US. The other day, a cold-hearted Brooklyn kid kicked a cat, and then the Internet exploded. I’m with the Internet on this one. I have two cats that I’m fiercely in love with; this kind of story makes me insane. Clearly, there are a lot of people in my camp. Witness the multiple cat cafés—casual spots that stock snacks, drinks and temporary cat companionship—that are in various stages of opening here in the US. Note that local health departments have rules about live animals in eating establishments, so you’ll no doubt see a separation of the food service area from the cat hangout zone. There are also animal treatment rules to be observed—you probably won’t be able to pick up the cute cat lounging nearby, although most of these places will double as pet adoption agencies. Note: None of these spots are open yet. To get a look at a successful cat café culture, check out Tokyo, where there are places where each cat has its own set of baby pictures, headshots and videos. Awwwwwww. It was open for only a weekend, but Purina ONE’s Cat Café in the East Village was so popular that patrons waited in lines for hours to spend a half hour with the adoptable cats. The pop-up launched in part to spread awareness on cat health and adoption; in addition to hanging out with and being able to adopt cats, people could hear talks from cat behaviorists and veterinarians. Here’s hoping its success means a permanent Cat Café is coming to NYC. Later this year, Ann Dunn, who leads an Oakland cat rescue organization, and Adam Myatt are opening Cat Town Café with help from Pet Food Express, which will help cover the rent. The café’s main goal is to facilitate adoptions, but the space will be divided into two areas: a cat-free coffee shop (where food will be prepared), and the “cat zone” where customers can play with the star attractions. If you’re in the area and want to help with design and construction, they’d love to meet you. Kristin Castillo quit her corporate job to open Portland’s first (and only) cat café. She plans to serve wine, beer and snacks like beef jerky and popcorn, and will host special events like movie nights and readings. Purringtons will have 10 “resident cats” that patrons can play with, and adopt as well. Inspired by the cat café revolution, Courtney Hatt and David Braginsky are crowdfunding right now to open a chill place for rescued cats and the humans who want to hang out with them. As the name and their logo—a cat silhouette inside a teapot—suggests, they’ll have a tea-focused menu and items like chocolate truffles to eat. Meanwhile, their Facebook page has a lot of adorable photos and illustrations. Tony Wang, a local cat lover, recently started an Indiegogo campaign to open San Diego’s first cat café. Wang plans to open in the Marina District, with a houseful of adoptable cats, and drip coffee, espresso and pastries. If you contribute to his fund-raising efforts there’s a chance to win an autographed book from the My Cat From Hell star Jackson Galaxy.